Ashley Franklin ABPPAThis shows the qualification attained by Ashley Franklin within the SWPP and associated societies. Ashley Franklin has an Exhibition here. I found inspiration from: All manner of images from my numerous photo books, everyone from Cartier-Bresson to David Ward,Annabel Williams to Charlie Waite. I also gain great inspiration from fellow members of the SWPP such as Chris Appazardi, Alan Carville and Joe Smith. Competitions - 16 Gold awards in last 3 years, achieving runners-up prize three times - Landscape photographer of the Year (twice) and Pictorial. Testimonials: With all the commissions for Derby Cathedral Quarter, Ashley has beautifully captured the individual, diverse and inspiring nature of this very special part of Derby City Centre. His meticulous work and attention to detail have been invaluable in the marketing of the Cathedral Quarter and his images are more than often the inspiration for the key messages on the marketing campaigns that we undertake to raise awareness, footfall and sales for the businesses here. We are really pleased we chose Ashley to photograph our special day. So many photographers still rely on a set number of groups and formal poses with standard forms of presentation yet Ashley captured our day as a story which unfolded from the preparation and even speech writing to the service and then reception and dancing in the evening. Shots of our family and friends captured relaxed and happy people, even typical expressions and moments! Ashley blended into the day and we did not even notice him yet he captured everything. The presentation of the day was translated into a beautifully created album where individual shots and groups of shots were set against a backdrop of scenes from the day. We could not have chosen a better way of recording our day. Thank you Ashley. Ashley was magnificent from the first time we met through to his marvellous after sales care. His attention to detail and dedication to produce wonderful photographs of our special day was second to none. 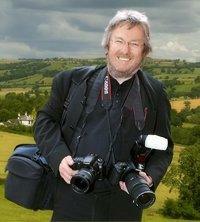 His web-site offers a friendly and easy to use facility to select photographs for the album. The album needed little or no alterations after Ashley had designed it, as his professional eye and artistic knowledge produces an album that is unique and a pleasure to look at time after time. All that have seen our album have commented on it being the best wedding album they have ever seen and what a wonderful way it is of telling the story of the day. The actual album covers and service from Graphistudio were superb, too. We have recommended Ashley to all that have asked as we would not hesitate to ask him to carry out further photographic services in future .